We also have partnered with distributors, Microcinema International, who are making great progress in getting this new film placed in broader mainstream retail outlets such as Barnes and Noble, Netflix, Walmart.com, Blockbuster.com, and many others! Additionally, we are thrilled to report that we have established the Avery Foundation, a not-for-profit organization which will use a portion of the proceeds made from the sale of American Coup to help first responders, family members, memorials, and other 9/11-related causes that need financial assistance. 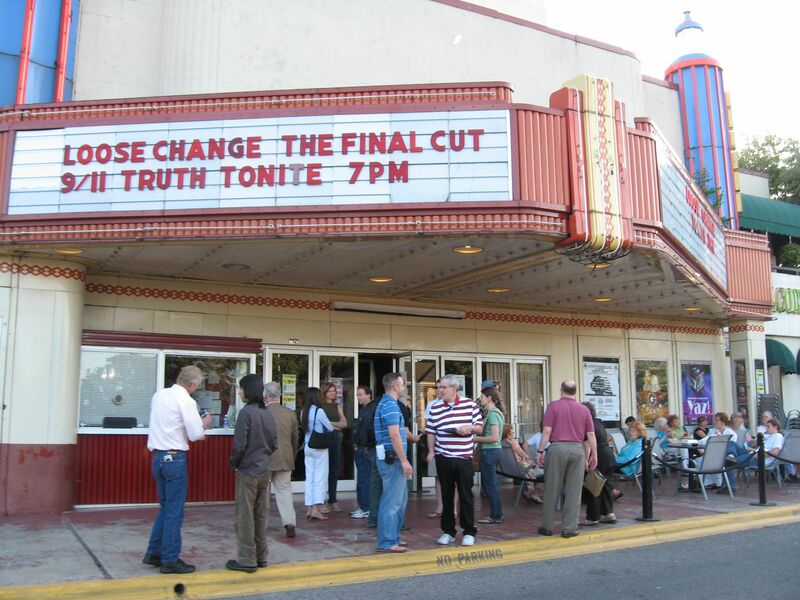 Tonight, we are premiering Loose Change 9/11: An American Coup at the Grand Lake Theater in Oakland, California, where we also held a theatrical premiere of Second Edition on April 13th, 2005, which was the one year anniversary of the original edition's release date. A great deal has happened since the original Loose Change, and as you will all see soon enough, the film has come a long way. In the past, we have made some rather important strides for 9/11 Truth. We were able to obtain and release the entire archive of communications made on 9/11 at NEADS in Rome, NY, which was alluded to in a Vanity Fair article but never released to the public. We managed to locate and interview Barry Jennings where he elaborated on his original testimony to ABC7 News on the day of 9/11 before his untimely passing in August, 2008. We managed to help gather approximately two thousand people at Ground Zero on 9/11/2006, where we assembled at Liberty Park and handed out 10,000 DVDs and 600 shirts for free, before leading everyone on a silent march to peacefully and respectfully show our numbers. We have always attempted to better our films and ourselves, as both filmmakers and individuals, and refine our arguments wherever possible. We have tried our best to avoid controversial or speculative topics and have made an effort to focus only on subjects we could prove as fact, supported either by hard, physical evidence, massive amounts of corroborating eyewitness testimony or both. We want to extend a huge THANK YOU to all of those who have supported us and the Movement. It is through everyone's tireless efforts that we all have made these accomplishments. Without YOU, there is no Movement. We do not need leaders, we only need ourselves! After tonight’s premiere screening, Korey will be going the International Conference for 9/11 Truth and Justice held in Buenos Aires, Argentina. Korey will be attending at the personal invitation of Kurt Sonnenfeld to present American Coup and join other 9/11 Truth colleagues in discussing the state of affairs of the Movement. Dylan will be continuing on to Los Angeles to hold a second screening of American Coup with our old friends Christine and Julia at KPFK. Screenings are beginning to pop up all over and may be in your area soon. If not, please contact us through the loosechange911.com site to set up a screening of your own. Here we stand, eight years later. We have endured a lot of negative remarks and hostility, all for simply wanting to understand more about a terrible tragedy that not only took the lives of thousands of people in the United States, but also took endless more in its name during the wars that followed. We want a new investigation into the events of 9/11, not only because the first one was demonstrably inadequate but also because there has been ample testimony made by enough experts from around the world to bring the findings of the 9/11 Commission into question. We are not dealing with conspiracy theories. We are dealing with facts. We are asking for the Truth and our requests will not cease until they are legitimately met. Until then, we must continue to ask questions and demand answers. With warm regards and best wishes to you all, and our sincere condolences to all of those who were affected that day. It is because of you that we continue to demand accountability. I listened to several of the radio interviews you have had in the past two weeks. You seem to get better with each one regardless of the atmosphere. Great job, thanks for the letter, and good luck in Oakland and beyond. sewalkie on Wed, 09/09/2009 - 9:43pm. Despite all your critics and those who try to disparage or discount the importance of what you have done, trust that your efforts are not in vain and will be historically noteworthy. Phaedrus on Wed, 09/09/2009 - 7:07pm. TomT on Wed, 09/09/2009 - 7:21pm. So funny. I almost put this (your/Pepper's) quote after my comment back to Dylan & Korey before deciding on Goebbels. betsy on Thu, 09/10/2009 - 4:21am. Look forward to seeing the new entry! I'm legitimately shocked the film is on the verge of gaining widespread distribution through corporate media outlets. Shows how far we've come in 8 years. Danse on Wed, 09/09/2009 - 7:26pm. Our N Texas group screened LC2E at the Lakewood Theater in Dallas, then Loose Change Final Cut. I'm guessing we will be screening American Coup as well. Joe on Wed, 09/09/2009 - 7:34pm. Occasionally, I enter comments about the new Loose Change movie in the entertainment section of The Dallas Morning News. Loose Change has a great reputation. TomT on Wed, 09/09/2009 - 9:11pm. Jon Gold on Wed, 09/09/2009 - 8:04pm. Thank you for your inspiring words, Dylan. And good luck with the second screening of American Coup! On another note, I would urge you to pass on the message to Korey to firmly but gently press the point to Kurt Sonnenfeld that many of us here at 911Blogger.com, however interested or fascinated, have grown somewhat skeptical of his story. When will he be releasing the rest, and presumably best, of his 9/11 WTC photos and video? If Korey could get his hands on a copy of at least ONE image and bring it home to us (say, a clear close-up shot of molten metal), or at least a few English copies of Mr. Sonnenfeld's book, that would definitely be good. Mekt_Ranzz on Wed, 09/09/2009 - 8:38pm. I don't know where to post this but Huffpo is allowing some 911 info to be posted. At least get people to doubt the OCT.
BreezyinVA on Wed, 09/09/2009 - 11:03pm. This is great news . . . . It had to happen at some point. betsy on Thu, 09/10/2009 - 4:33am. betsy on Thu, 09/10/2009 - 4:35am. I wish I could be in Oakland for this, but I eagerly await the general release. Thank you for your persistence and for keeping the faith. CK on Thu, 09/10/2009 - 12:45am. for all you have done for the Truth Movement. I read somewhere that LC in it's various incarnations has over 150 million views. Not too shabby gentlemen. I can't make it to Oakland but I'll buy a copy as soon as it's available. Chris Sarns on Thu, 09/10/2009 - 3:08am. You were the spark (Alex Jones was the lighter fluid?) that jump-started this movement. For any newcomers, the original Loose Change is considered the first internet blockbuster . . . quite an honor and statement. In NYC . . .
betsy on Thu, 09/10/2009 - 4:17am. P.S. Just fyi - I'm planning on showing LC: AAC for my October "Third Thursdays" movie. betsy on Thu, 09/10/2009 - 4:40am. Cool! Great work Betsy! Loose Change in Theatre!! It is the tenacity and dedication by activists such as you, and others like you around the world, which will eventually blow the lid off this whole thing. Thank you! TomT on Thu, 09/10/2009 - 6:49am. You belong to those who have done the most for the movement. I look forward to seeing the new film, which I heard is being "Finnished". Vesa on Thu, 09/10/2009 - 5:55am. Thank you Dylan, for everything you've done and continue to do. I'm really impressed w/ the distributor you have hooked up with, they are making some impressive moves. zombie bill hicks on Thu, 09/10/2009 - 7:34am. ...and I'm hoping that "no 757 hit the Pentagon" has been scrubbed in favor of less speculative theories. Does anyone know for sure? I'm tired of debunkers using this old bit of misinfo/disinfo against us. Probably a small qualm if indeed it has made its way back -- I'm sure the film on the whole will be very positive for 9/11 Truth. funhouse1970 on Thu, 09/10/2009 - 3:54pm. My order for American Coup is already placed. simuvac on Thu, 09/10/2009 - 4:19pm. Great work for which we are all grateful! Thanks Dylan, and Korey. I look forward to seeing and sharing your new film. ROBinDALLAS on Thu, 09/10/2009 - 8:02pm.